9 ladies dancing. – Making Memories in The Chaos. 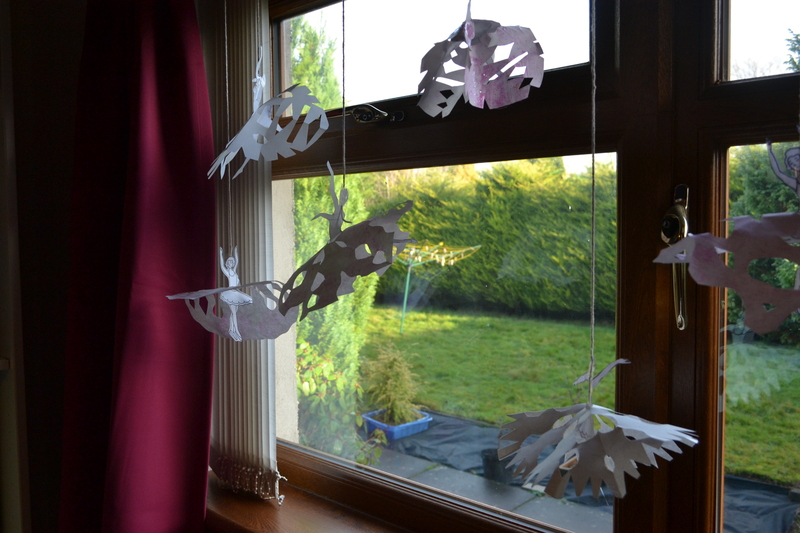 J (4.5 years old) has been VERY into making paper snowflakes lately, apparently his teacher taught him how to in school last week! So, I decided to use his enthusiasm as part of our craft. Little L (2.5 years old) is into all things sparkly, and twirly and pretty and girly, so we decided to go for dancing ballerinas. 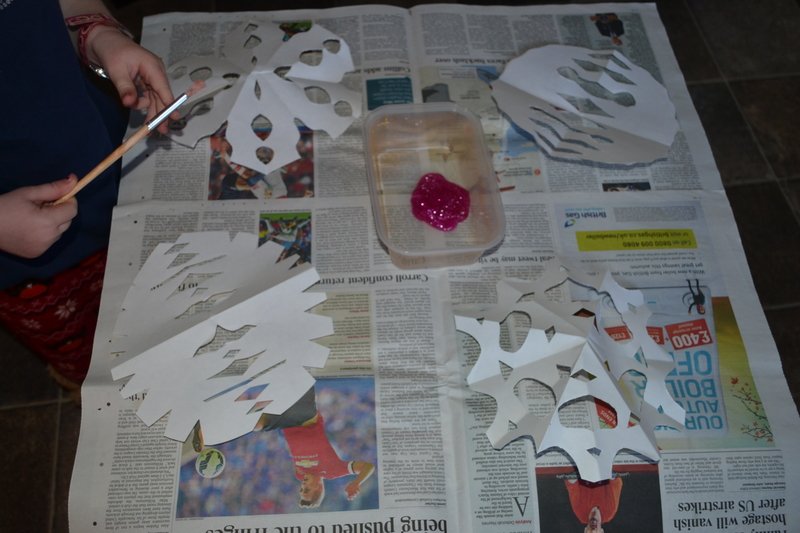 S (3.5 years old) loves all things messy so he enjoyed the mess from cutting the snowflakes (which his big brother showed him how to do!) and the glittery paint! First we set about making the skirts for the 9 dancing ladies. Both J and S were able to complete this activity independently. I had to help a little with the folding of the paper, but after that they were happy to just snip, snip, snip!!! 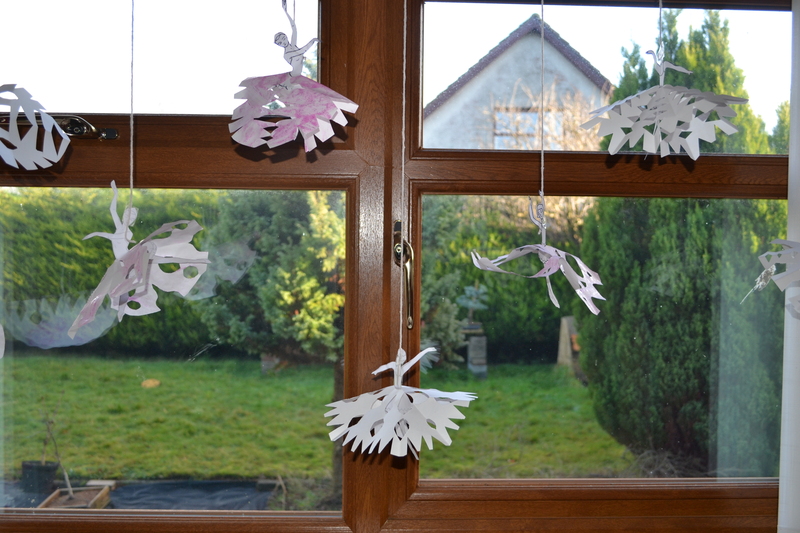 Here are there finished creations – not bad I have to say. 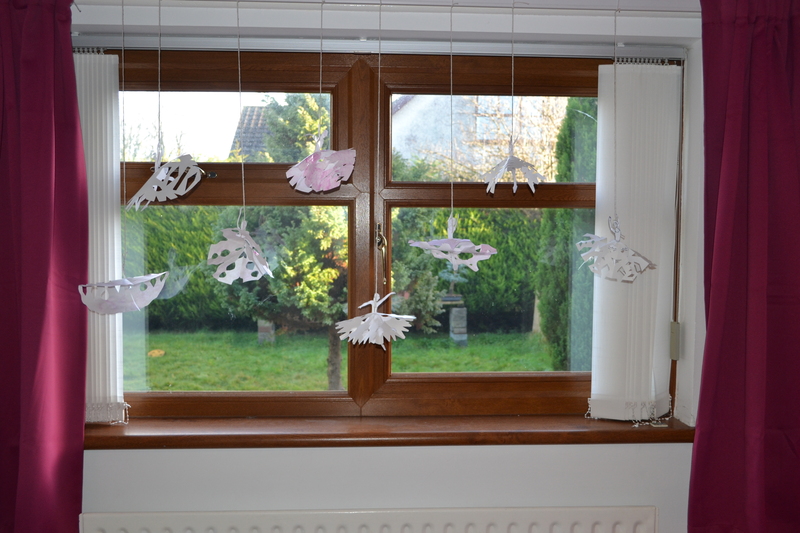 There were admittedly a few others that didn’t quite make the cut, but are decorating our kitchen windows nicely! 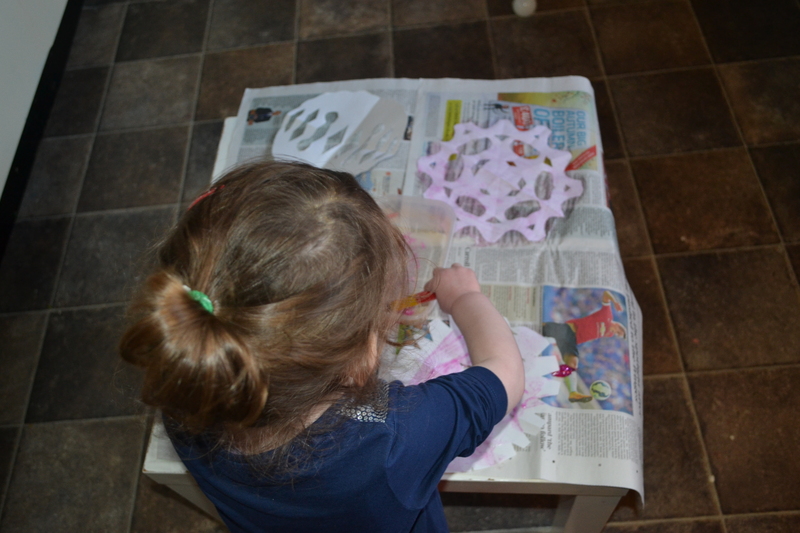 Next we decorated some of our snowflakes with pink glitter paint. 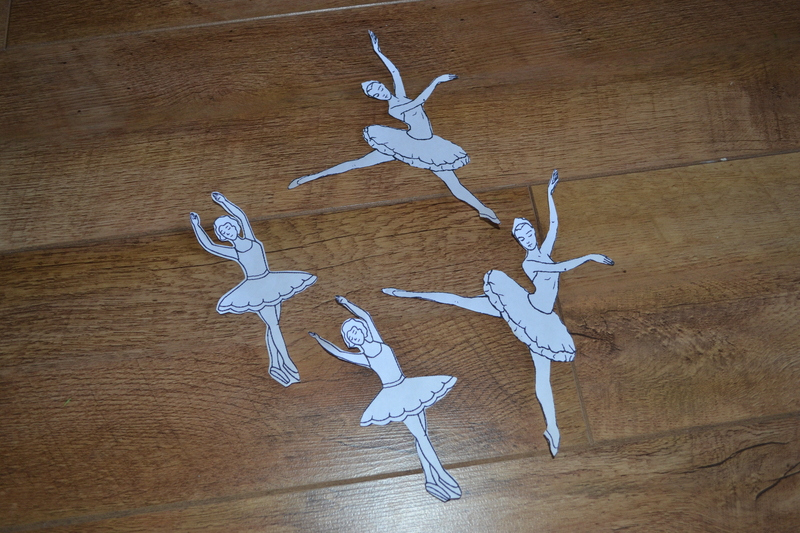 We had decided that the dancing ladies would hang in L’s bedroom and pink is her favourite colour after all. The next part I did end up doing myself. J gave it a go, but his patience soon wore out. The are a little fiddly. 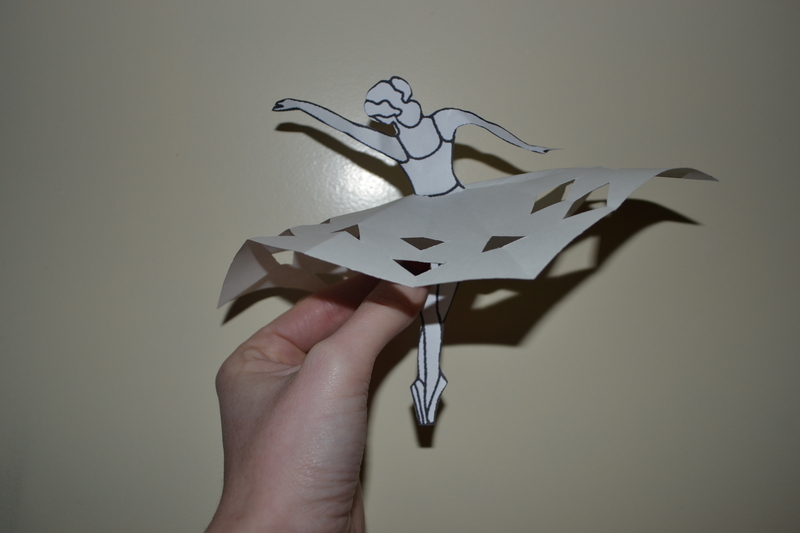 I printed off some ballerina templates to cut out. 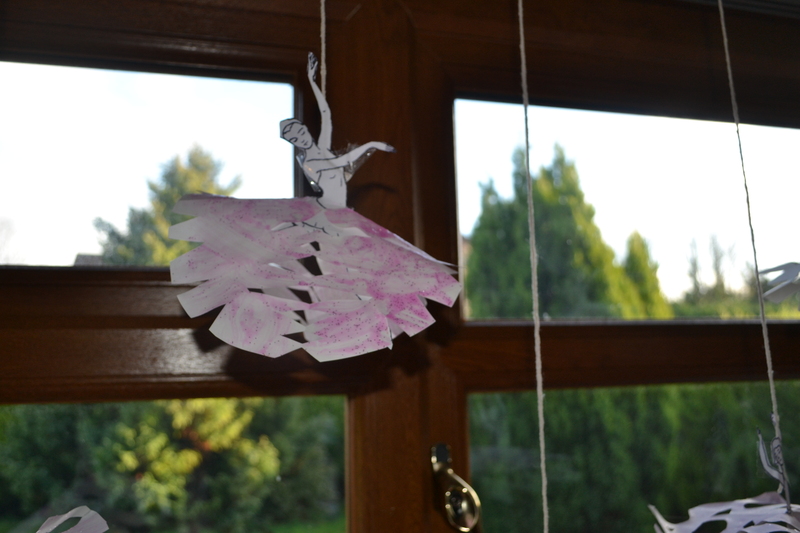 The last thing then was to hang them in L’s bedroom and watch them twirling and dancing! 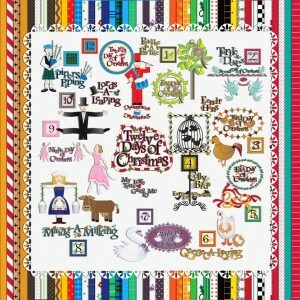 Be sure to check out the other posts in this Christmas Blog Hop! 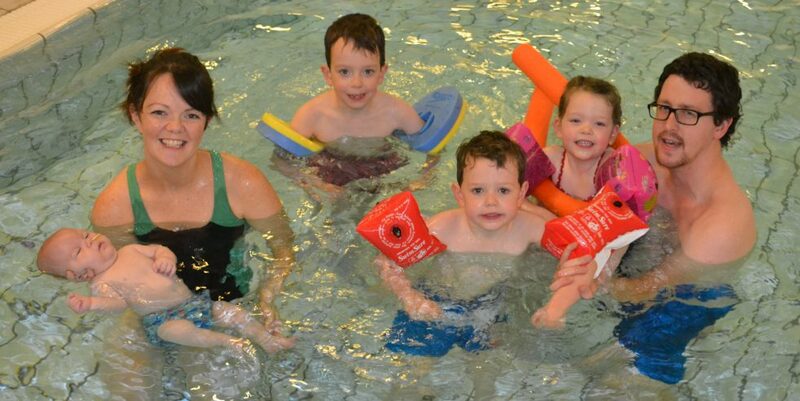 There’s lots of different ideas for your little ones to do. Next Post All a glow! This is such a clever idea, I know 2 girls who’ll love this. They are gorgeous. So simple but such a fab idea. How fun! 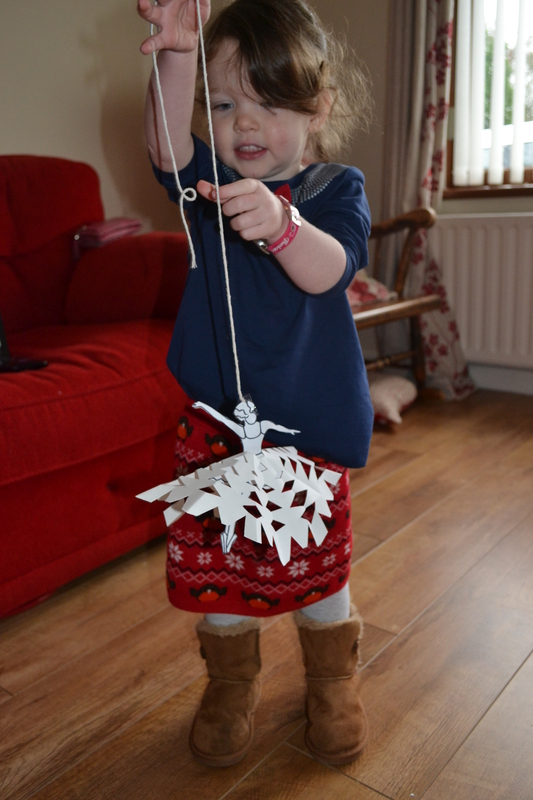 I love the snowflake skirt, and that all three kids – at different ages – were able to enjoy the activity! 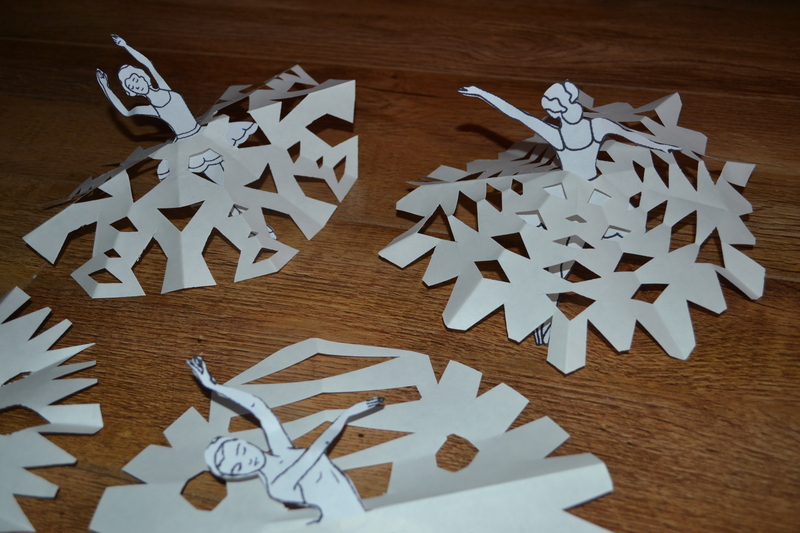 Wow – I have never thought about using paper snowflakes like this before. Love it! 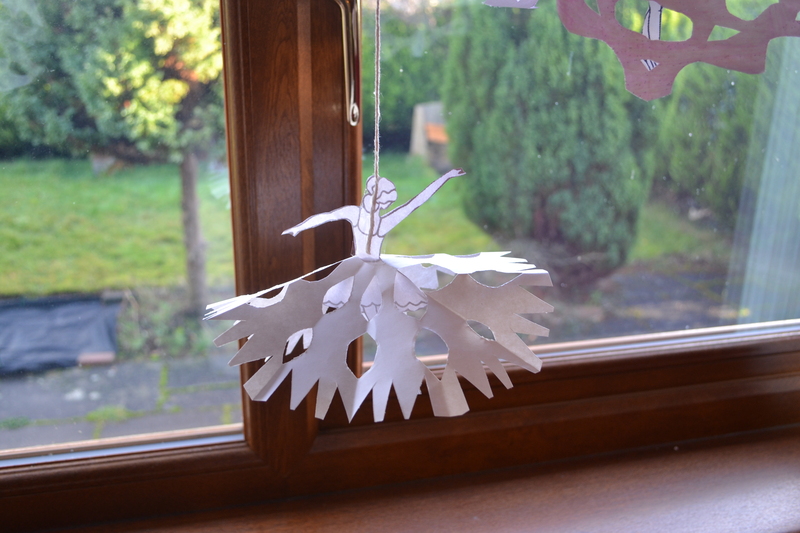 Wow – I have never thought of using paper snowflakes in this way before – love it! I do love this activity! 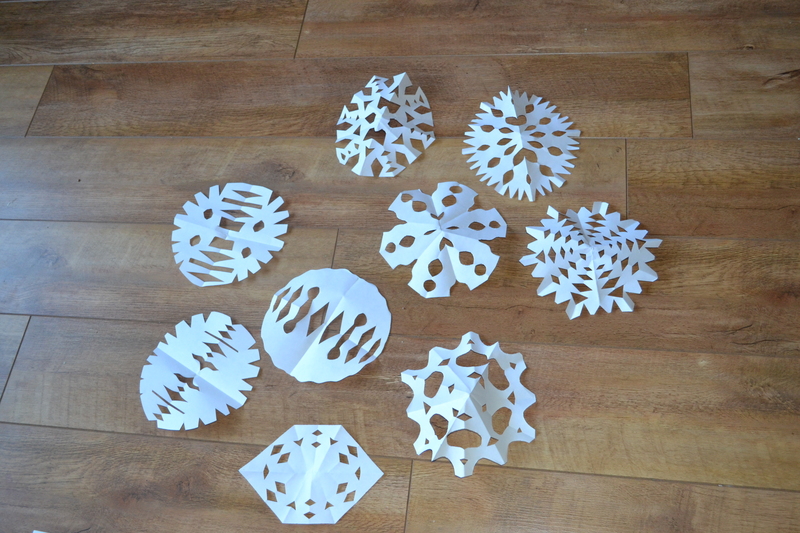 Love any snowflake craft and what a beautiful way to use them!